The CEO of Binance has announced that the exchange is partnering with Crypto Savanna, a Ugandan blockchain startup, to aid in the economic development of the East African country, according to a Twitter post. Binance, the world’s largest cryptocurrency exchange by market capitalization, has plans to help bolster Uganda’s economy and create thousands of jobs for young people. Changpeng Zhao, the founder and CEO of Binance, is currently in the country where he is working with the local blockchain community to explore opportunities for collaboration, including an open meeting held with the Blockchain Association of Uganda (BAU). Binance is currently the largest cryptocurrency exchange in the world, with 24-hour trading volumes of almost $2.5 billion according to CoinMarketCap. Originally based in China, the exchange was forced out due to the country’s cryptocurrency regulation. It now has offices in Hong Kong and Japan, and is planning to open another in Malta. The Blockchain Association of Uganda is a non-profit advocacy group. Its aims are to promote blockchain-based technologies in the country, organize events, support blockchain projects, and represent the country on an international level. Despite the fact that Uganda is rich in natural resources like coffee, tobacco, sugar, metals, and oil, it is one of the poorest countries in the world. 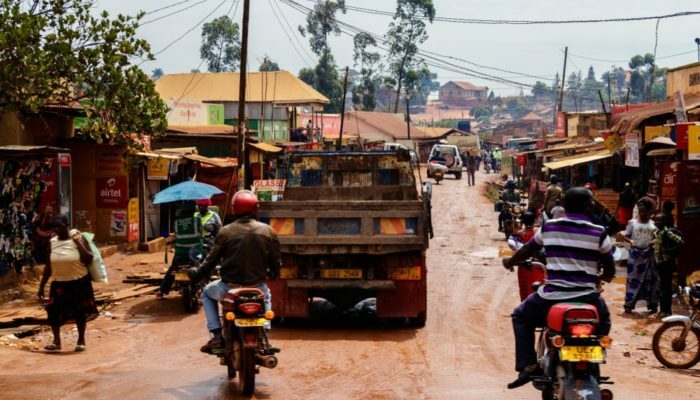 As citizens look outside the landlocked country — home to 42 million people — for work, Uganda has become home to one of the largest remittance markets in the world: in 2016, Ugandans sent more than $1 billion home, as per recent figures from World Bank data. Large numbers of people across many regions of Africa do not have access to banks, and more than 30 million Africans work abroad and send money home. Because of this, blockchain-based technologies that allow people to connect with alternative financial options are likely to find mass adoption in the continent if properly implemented. Also, because of blockchain’s decentralized nature, it can be used to prevent fraud and corruption — something many African economies and governments have struggled with in the past.